Here is a cool list of 21 most beautiful and weird houseplants that you must have in your homes. All these plants are currently in demand as most householders these days look forward to deck their interiors with unusual and bizarre features, houseplants being top in the priority. These plants, with their bizarre shapes can lend a unique touch to your decor and can make dull places fun and lively. These are low maintenance as well as can stay alive for a long time. Let’s take a look at some of these beautiful plants. This plant looks exactly like an umbrella with leaves that give it an appearance of an umbrella that is inverted. Most people know this plant as Wine Cup and grows to just about 6 inches. With bright green leaves whose edges are raised and yellow greenish flowers, the whole plant looks very decorative. It can be placed anywhere in your home as its easy to carry. The Haworthia Cooperi can be counted in this list of amazing strange plants as it looks very pretty with fleshy leaves that absorb water. With bulbous and transparent leaves that feature silver colored streaks all over, the houseplant is definitely a bizarre looking plant and is perfect for decorating homes. If you wish to add a trendy touch to your garden or interiors, then plant this beautiful looking houseplant called Gentiana Urnula, a species of succulents that is popularly called Starfish Succulent because of its appearance. The plant is easily maintained and stays alive for a long period of time. Weird houseplants such as Dolphin Succulents add up to the style and must be planted. These plants are very popular with many people placing these to deck up their interiors. 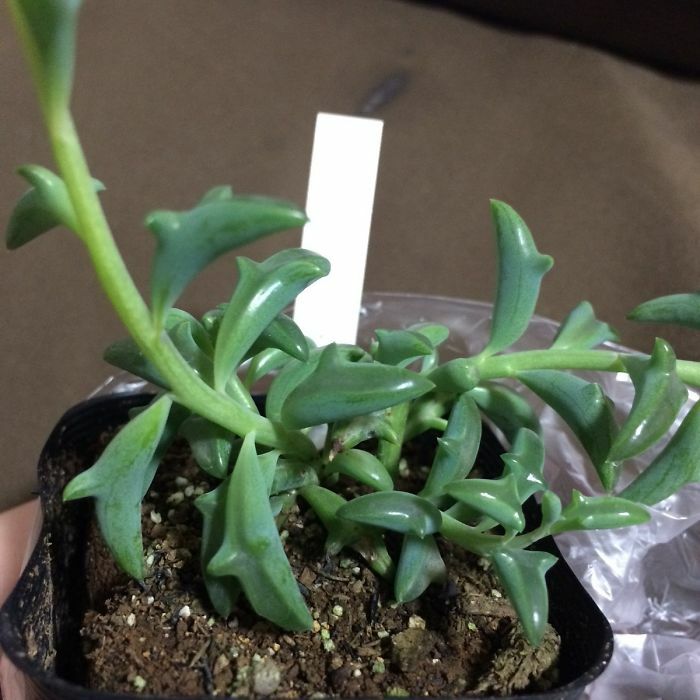 The leaves of this succulent look like miniature dolphins that seem to swim. The plant grows in Japan and is currently a hot pick among the Japanese. Looking like a ball, the Euphorbia Obesa is a rare and an unusual plant that can light up any corner of your home. The plant is popularly known as the ‘Baseball Plant’ and can grow up to 15 centimeters. It belongs to the family of succulents. 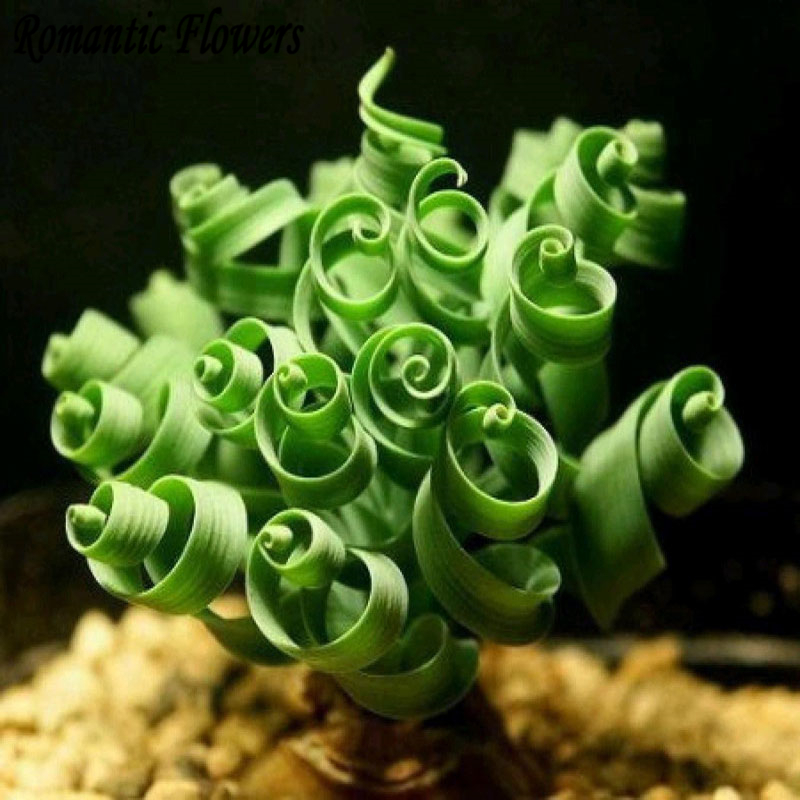 It grows in solitary conditions and has no leaves. This plant is a highly adaptive plant as it can camouflage itself well. In most reservoirs, you will see this plant planted for preventing drought like conditions. 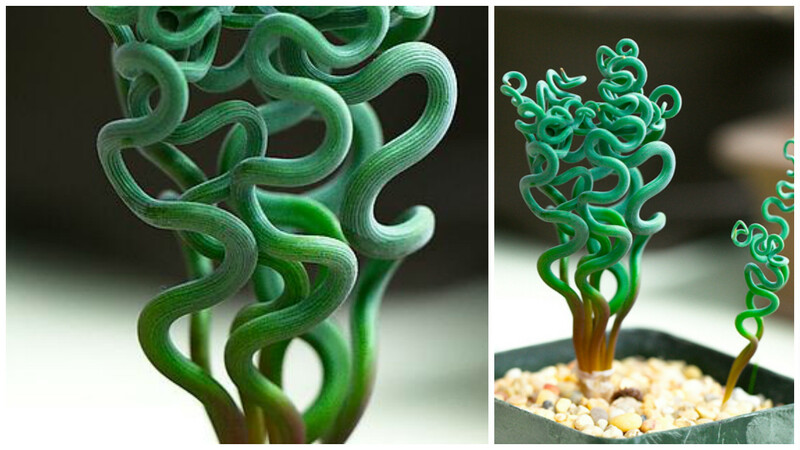 Resembling curly pasta, the Trachyandra is a unique plant that grows in South Africa. It’s curly branches lend it an ‘attractive bizarre’ look and are all symmetrical. These can stylize windowsills, bathroom corners or side tables. 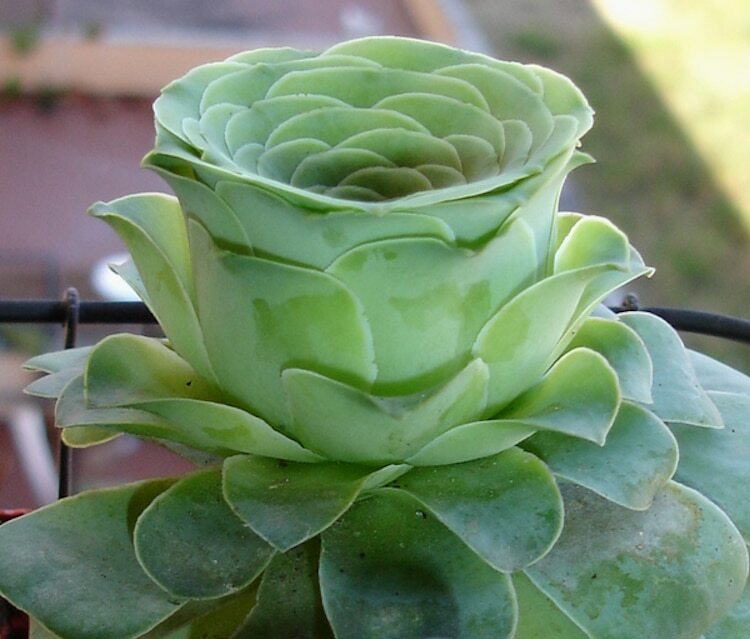 Greenovia Dodrentalis or Rose Succulents are perfect to jazz up any corner of your home. The plant looks like a rose and is easy to be maintained. With floral design, the plant needs to be watered when its soil is dry. If you think you have seen all types of oddities in this post of odd plants, then you are mistaken as here is another one in the kitty that will surely blow your minds! Yes, we are talking about the Medusa plant, aka the Euphorbia Caput Medusae. Its called Medusa’s Head as its branches resemble the witch’s hair with flowers looking like eyes. 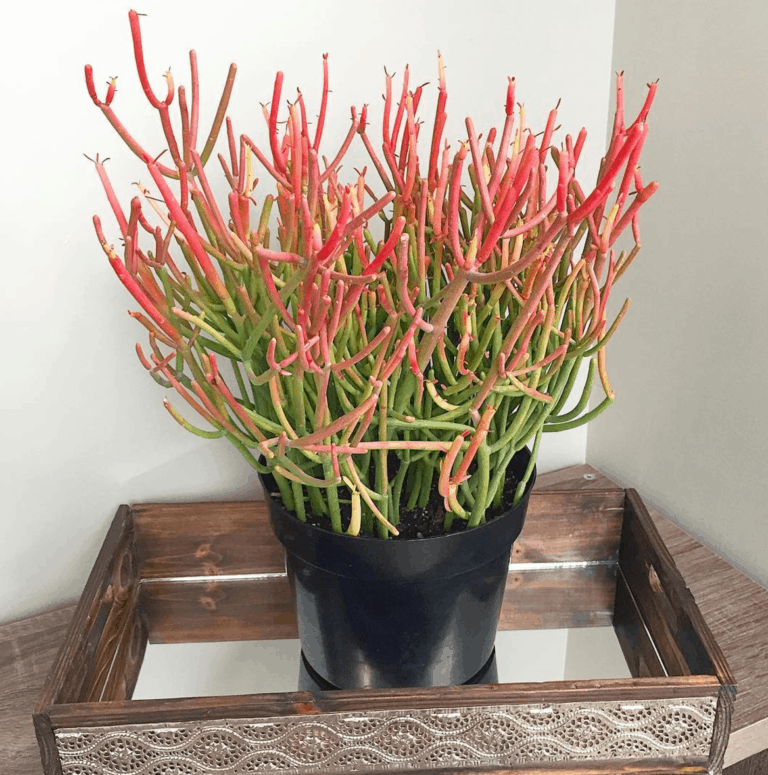 Its a succulent variety that is a native of South Africa and is most popular for its serpent like stems. 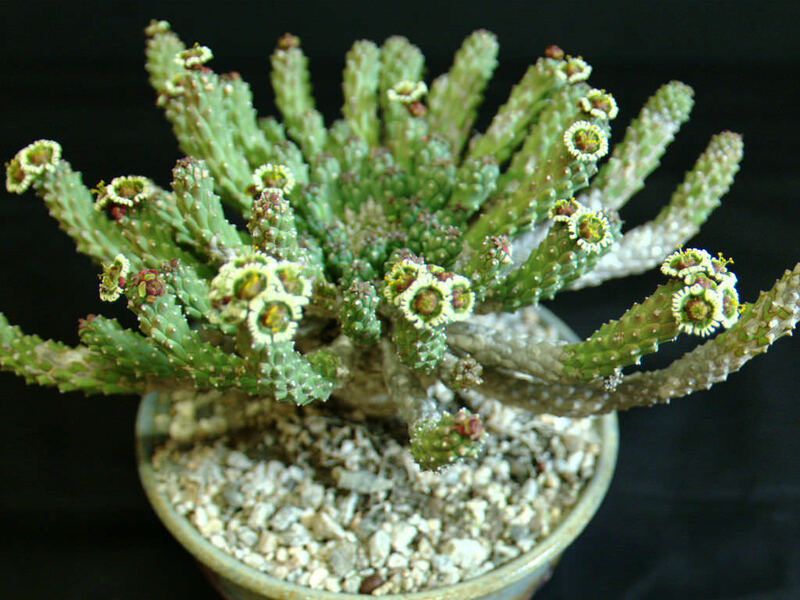 Belonging to the family of Euphorbia, the Euphorbia Tirucalli is also called Firesticks. This is because its stick like stems are orange pinkish in color from top. It can grow up to 25 feet in height and can jazz up any corner of your home. With spiral shaped grass that looks tailor made, the plant is a genius among all these unusual plants. The look is natural and can be grown easily in a pot. The branches of this plant are twisted and it can spread fast on ground. The charming look of this plant catches attention instantly. 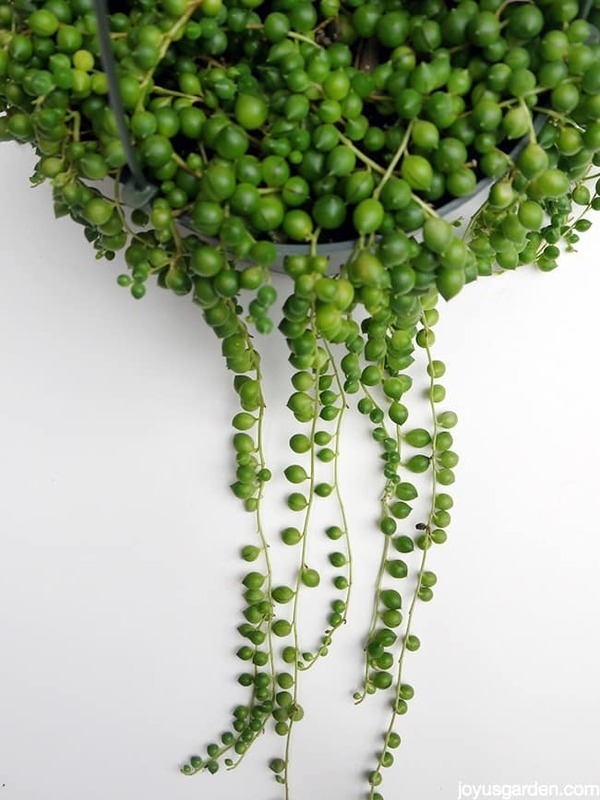 A gem in this list of charming strange plants that you can pot in your homes, the String Of Pearls is a variety of succulents. The plant looks as if strings of pearls are hanging straight from inside it and is a popular breed of succulents to be gown indoors. The round branches look fleshy and lend it a very unique look. 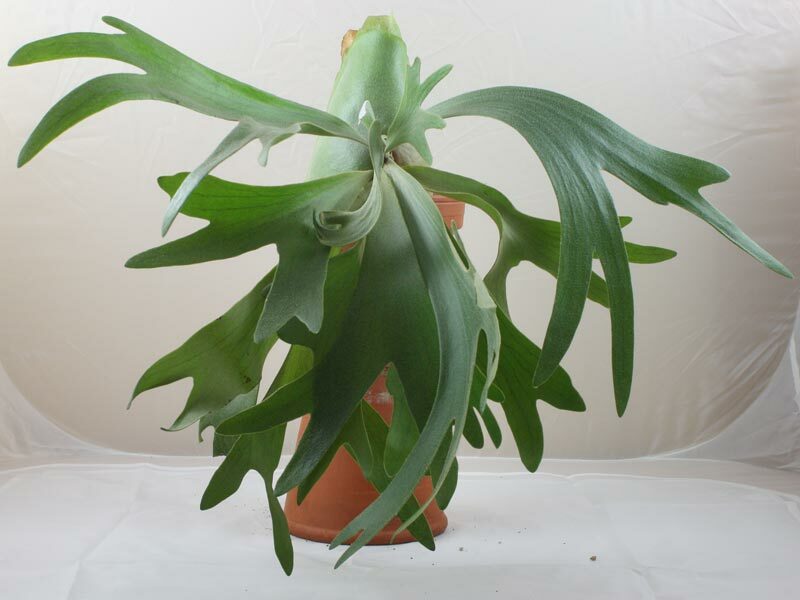 Famously nicknamed the Staghorn Fern, the plant Platycerium is a rare houseplant that often finds place on office walls or inside homes. It resembles the horns of a stag and hence the moniker. You can hang this plant anywhere to deck up the decor and can be styled to any design as needed. Beauties like the Hoya Plant are very rare to be seen in homes, but now a days, many householders are planting these gems that grow well in tropical climates. With different colored blooms that match each other perfectly, the Hoya Plant mesmerizes everyone with its bright color patterns and designs. 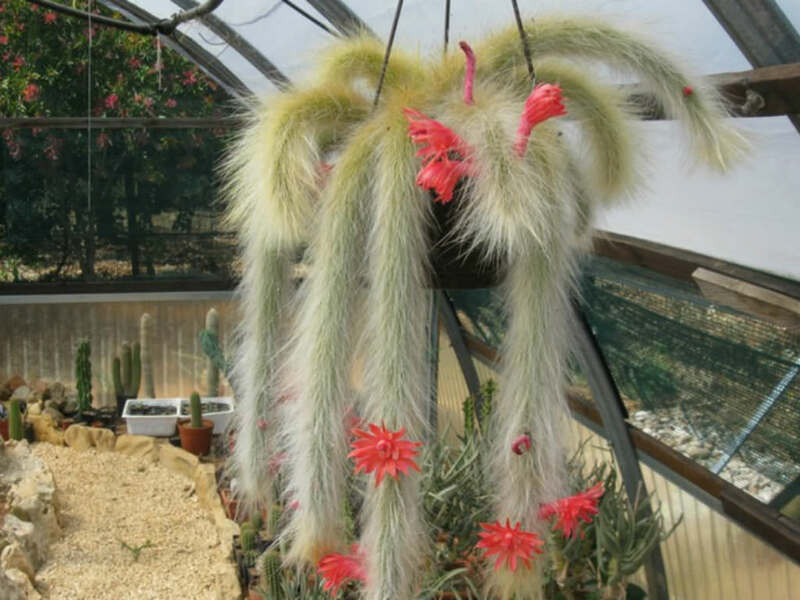 Weird houseplants like Disocactus Ramulosa are must to be planted in gardens or inside homes because of their exotic look and vivid colors. 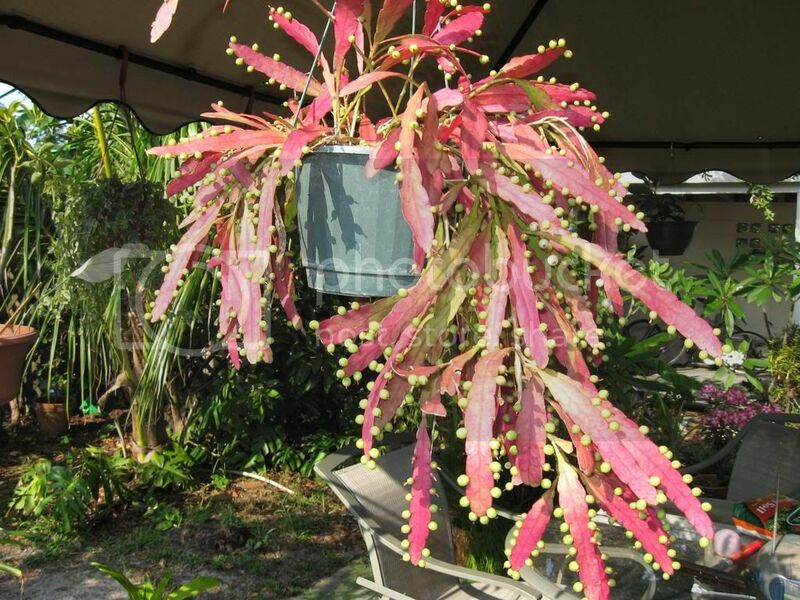 The most striking thing about this plant is its ability to show more color when exposed to direct sunlight. With bright leaves and pearly white blooms on the edges, the plant is a decorative feature that can add chutzpah to any decor. 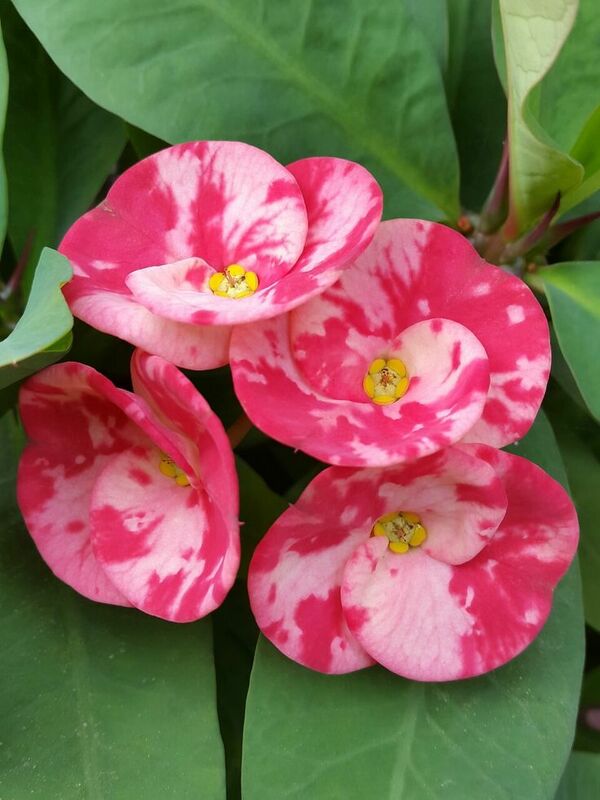 An extremely beautiful looking plant, the Crown of Thorns keeps blooming all year round. The flowers are very pretty with pink and white shades seen splashed all across. Its a variety of succulents and is easy to be maintained. It needs less water like most succulents. 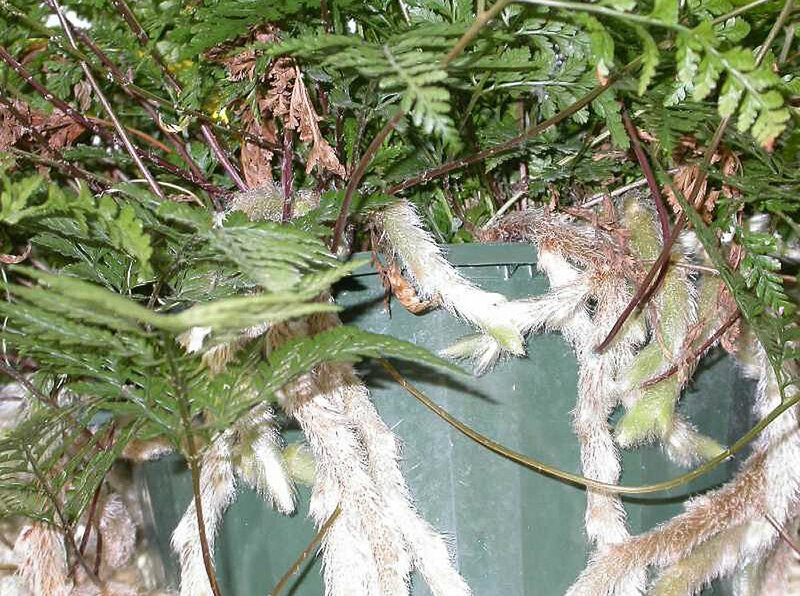 Called the Tarantula Plant, the Davallia fejeensis is a type of fern, the fronds of which seem to grow out of it and are quite similar to a tarantula’s prickly legs. Its uniqueness lies in its spidery look. The plant needs moisture to grow well. Odd plants like the Columnea can spruce up the interior as well as exterior of any home because these look colorful and attractive. The most striking feature of this plant, also Known as Firebird is the flower that resembles a fish. The plant grows well in hanging form and is a native of South America. It grows perfectly when exposed to indirect sunlight. The other common name for this plant is flying goldfish plant. A variety of cactus, the Cleisocactus Winteri has to be exposed to direct sunlight for maximum growth and propagation. Its body is spiky and appears fuzzy white while its blooms are peach in color. The most striking feature of course are its flowers. The plant looks best when hung from pots or containers. These plants are also known as pebble plants or living stones as one has to look closely to see that these are not rocks but living and breathing plants. 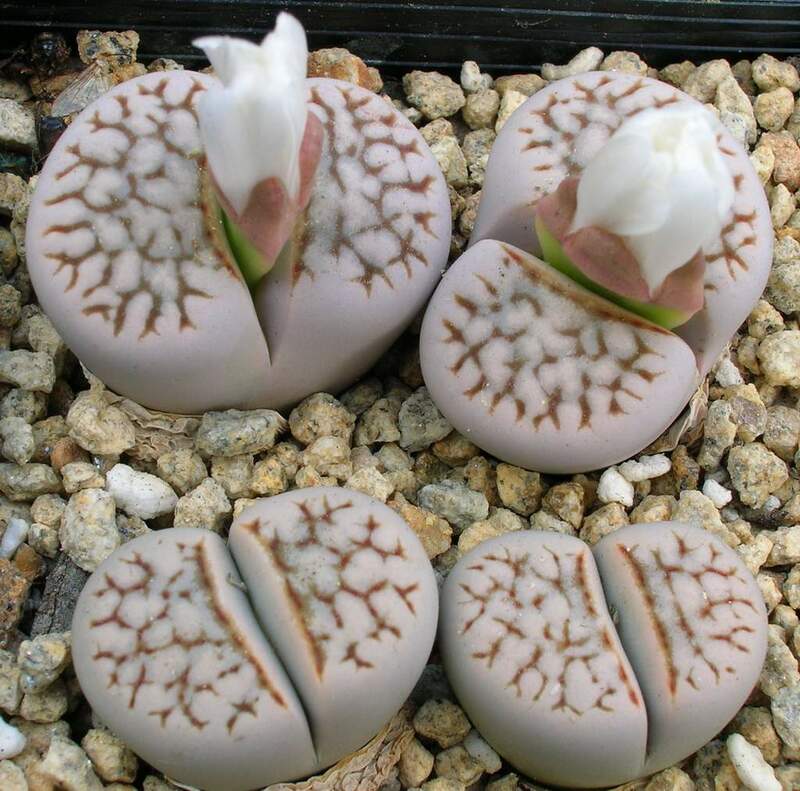 With a cream or brown outer body color, the Lithops Julii are a weird plant specie. The flowers bloom on these plants and resemble daisies. These are best for indoor decoration. 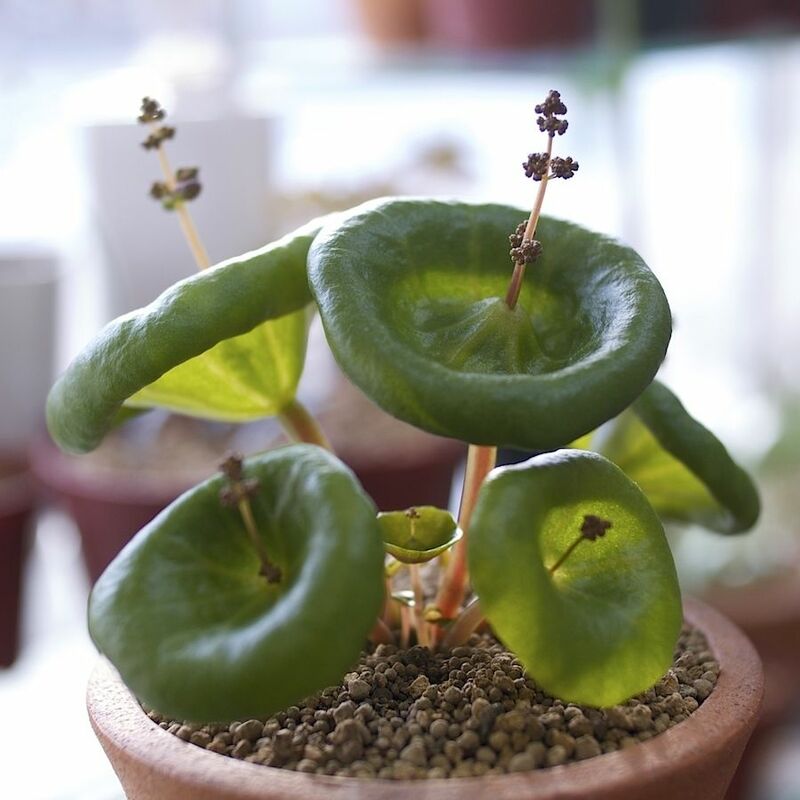 Kalanchoe thyrsiflora or Paddle Plant is a succulent that looks unique with its roundel leaves with red tinge. The plant is a native of South Africa and is easy to grow. The most attractive feature of this plant is its flat leaves. You can keep the leaves large or small as per your fancy. The plant is popularly known as dessert cabbage. Protect it from moist soil and plant it in terracotta pot that drains well. Air Plant is the last in this list of weird houseplants, and no doubt looks charming and very decorative. The plant belongs to the Bromeliad family and is a native of South and Central America. The roots of this plant are such that these can grow anywhere, either in pots, hung from containers, or mounted on top of other plants. So…did you enjoy looking at some of these unusual plants that you never thought existed? These are popular houseplants and are currently in big demand in many households. You can plant these anywhere – in gardens, porches, patios or even inside your homes and add many layers of style to your decor. These are easy to maintain and require no extra care. If you think these weird houseplants have left you smitten with their gorgeous designs and colors, do not hesitate to pick a few for your home.